On May 22, 2017, a 22-year-old Manchester-born man of Libyan descent detonated a home-made bomb at a pop concert. Twenty-three people, including the attacker, were killed. The attack came 16 years after the declaration of the so-called “War on Terror” and was one of four major reported attacks in Britain in 2017 alone. “Many governments around the world have declared that the fight against terrorism is their number one priority … but the fear has continued, the attacks have continued. We have to wonder, why is this the case?” asks Dr Mahmoud Mohamedou, a world-renowned expert on political violence. Could government policies aimed at preventing violent extremism actually make things worse? Dr Mohamedou sets out to find out what’s behind rising youth radicalisation and political violence and how the West’s dealing with the perceived threats of a post-9/11 world affects young people vulnerable to radicalisation. To travel around the centre of London today is to move through a space defined by violent “extremism” and the security-based response to it. You can’t dispose of litter in the metro, because the bins were removed from the London Underground decades ago in response to the IRA planting bombs. Threat is the number one buzzword. We’re told it’s everywhere, we’re told we’re supposed to be highly suspicious of everybody and everything. And I think it has a real effect on one’s sense of self. 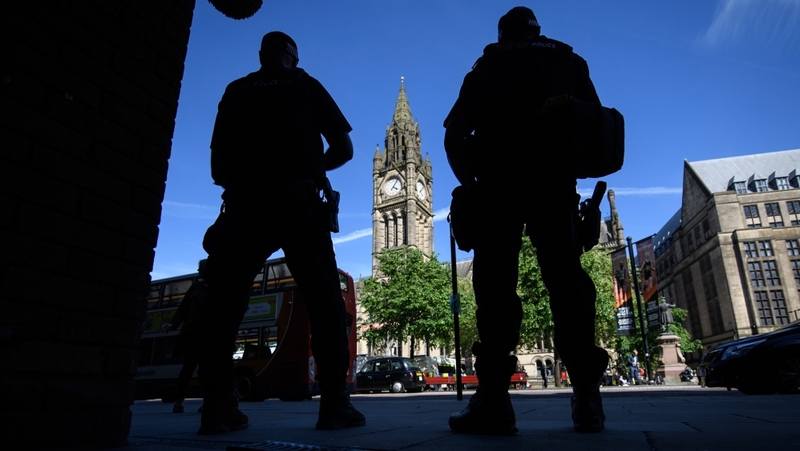 Armed police, once a rare sight in the United Kingdom, now guard most large landmarks and transport hubs. Places like the Houses of Parliament and the city now resemble the Green Zone in Iraq, with their heavy metal and concrete barriers designed to repel vehicle attacks. Most workplaces require an electronic tag for entry, while large companies and institutions are entered through airport-style security. And everywhere are the CCTV cameras, watching our every move as pedestrians on the street, passengers on transport and traffic on the road; in shops and offices. 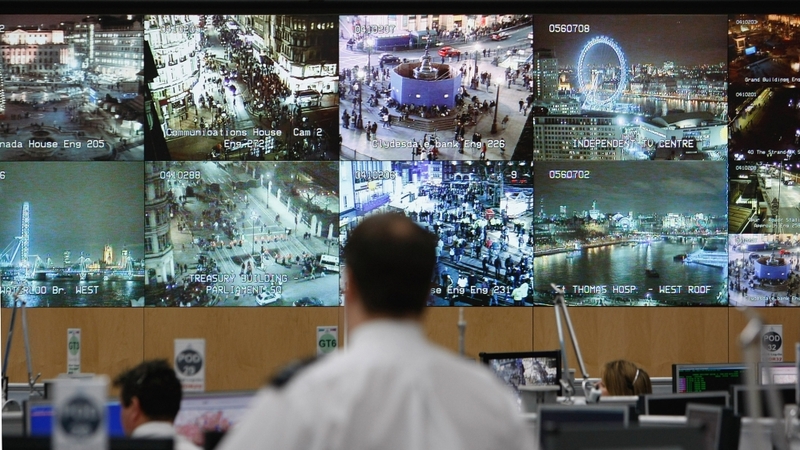 There are so many cameras in the UK that NOT being watched feels like the exception. While Britain is a world leader in spying on its people with CCTV, this general securitisation of our lives is the same across much of the globe, north and south. The reasons for all this security are clear enough. Since 9/11, Britain, like other European countries, has been subjected to many attacks, including the 7/7 bombing on the Underground and buses in 2005, as well as the 2017 attacks on Parliament and tourist areas like London Bridge. There have also been attacks by the far right, including the murder of a member of parliament and a fatal attack on a mosque in Finsbury Park. Governments clearly have a duty to protect their citizens from being killed in violent attacks – but what Dr Mohamedou and I wanted to explore was why, after all this infrastructure and almost two decades of the “War on Terror“, have the attacks continued? Could it indeed be something to do with the very methods employed to stop these attacks in the UK and around the world? Terrorism is horrific, but the fact that something is inexcusable doesn’t make it inexplicable. What impresses me about Dr Mohamedou’s work as a historian is that he sees violent activism as following in the long history of political violence that stretches from the anarchists in the early 20th century to Baader Meinhof in Germany in the 1960s and 1970s, right up to the Islamic State of Iraq and the Levant group (ISIL, also known as ISIS) and the far right today. But admitting that terrorism is a form of political violence begs tricky questions. Why would people do this? What is it about our country or society that has driven them to take this action? If you are a country engaged in foreign wars of choice (as the UK often is), and have taken political decisions that impoverish your own people, these might be questions you’d rather not encourage. So it may be easier for politicians to take the position of pure moral outrage; that terrorism is exclusively carried out by cowards, which can have no possible justification – meaning the perpetrators are just evil. That conveys the revulsion we rightly feel, but it doesn’t help us understand and solve the problem – because “evil” is an anti-analytical term that makes further inquiry impossible. Evil is just evil, end of. The advantage of the “evil” label for politicians is that it is not located in the wider society or history, but only in the person committing the act. In which case, the task of government is restricted to identifying which people have this “evil”, or are most “at risk” of catching it. From making this film, I realise that it must seem that something like this series of rationalisations is what’s behind one of Britain’s flagship counterterrorism strategies, at least to those likely to be targeted by it. The Prevent policy is based on the idea that it is possible to stop people being radicalised into violent activism (itself a very controversial claim). Under Prevent, every single British public institution is obliged to be on the lookout for radicalisation. That means every public servant with front-line contact – every teacher, university lecturer, doctor, nurse and social security adviser – is effectively working for the security state. They are looking for “signs of radicalisation”, which include things like mood swings and changes in dress (in teenagers), and holding “extreme” views, like disagreeing with British foreign policy. The government figures for 2015 and 2016 show over 65 percent of those referred to Prevent were Muslims. Ninety-five percent of those were deemed zero risk, but not before many of them had been interviewed by counterterrorism police and their lives had been disrupted by the suspicion. Dr Mohamedou and I wanted to find out the effect of this mass surveillance on ordinary people. One man – who himself has a beard – admitted that following the 7/7 attacks in London he feared other bearded men when he saw them on the London Underground … because the media had presented Muslim men as such a threat that he had internalised it. What we found was shocking. The people we spoke to didn’t all know Prevent by name, but they were acutely aware of the atmosphere of suspicion and surveillance that many feel it embodies and encourages. 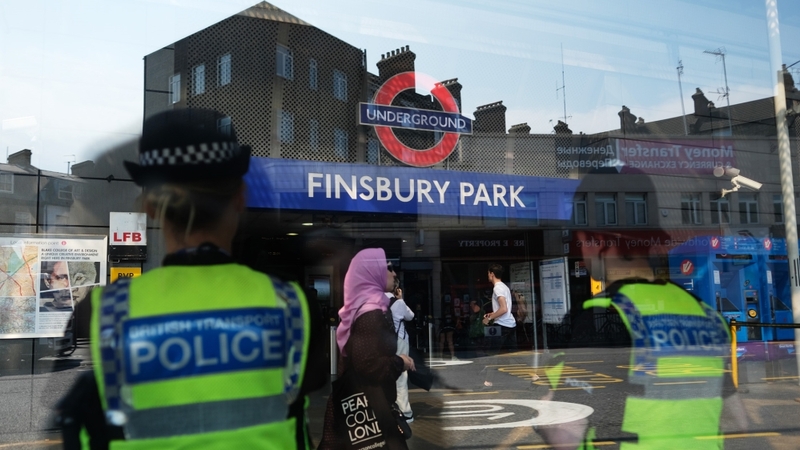 In Finsbury Park, at the mosque that was itself the target of an attack in 2017, one man – who himself has a beard – admitted that following the 7/7 attacks in London he feared other bearded men when he saw them on the London Underground. He felt this was because the media had presented Muslim men as such a threat that he had internalised it. At the University of East London we met a diverse bunch of young people who said that, although they weren’t Muslim, they felt that all minorities had been equally demonised by this narrative. I must confess that, as a white male, I was surprised by the extent to which these young people also felt demonised. I don’t live very far from them but was able to remain unaware because different communities experience the suspicion, policing and surveillance in very different ways. Both of the men we talked to in Finsbury Park had been picked up as part of “random” stop and searches, and those we met at UEL (mostly women) said being stopped by the police was part of their routine. Where I live, the police station has closed and we rarely see officers at all, let alone get stopped by them. Of the 65 percent referred by Prevent for interview by counterterrorism police, a good proportion were children under 14 from Muslim families, often flagged for making innocuous comments at school. On the other hand, in my extended social circle, I have never heard stories of children being referred to counterterrorism police for any reason. So this film is intended to bridge the gap between those who experience these authoritarian responses and those who do not; between those who make these policies and those who have to live under them. It aims to show how misdiagnosing the problem has led us to mistreat it, and how that, in turn, risks exacerbating the situation.